Apple offers a range of arguments in its motion to dismiss the order requiring it to help the FBI access an iPhone belonging to one of the shooters in last year's San Bernardino attacks. — On the 1789 All Writs Act, which gives the courts wide authority to help law enforcement, Apple said the law does not allow for "a roving commission to conscript and commandeer Apple." — Apple argues the Justice Department's legal efforts seek to gain authority the government was unable to obtain from Congress, by forcing the company to create a "back door" for law enforcement. — The case could set a precedent: "The government says: 'Just this once' and 'Just this phone,'" Apple's lawyers write. "If this order is permitted to stand, it will only be a matter of days before some other prosecutor, in some other important case, before some other judge, seeks a similar order using this case as precedent." - Apple said it has acted responsibly by handing over data in its possession but that the order would require it to build a new "government OS" with weaker security, in violation of its constitutional rights. - It is more complicated than simply handing over data: Apple says it would need to either develop a detailed protocol to enable the FBI to carry out a "brute force" hack and provide documentation that might need to be produced in court, if anyone were prosecuted with evidence found on the phone. Apple would need to "create full-time positions in a new 'hacking' department" to service government requests. 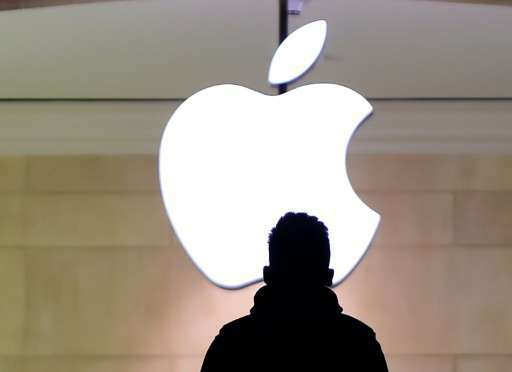 - Arguing constitutional rights, the brief says the government would be "conscripting Apple to develop software that does not exist and that Apple has a compelling interest in not creating." - Also on constitutional grounds, Apple said writing software is protected free expression and that forcing it to create new software would be "compelled speech and viewpoint discrimination in violation of the First Amendment."